Dome Energy AB provides an operational update on the ongoing drilling operations of the Gulf Lee Hager Fee 37 well (GLHF #37) on the Orange field, Texas. GLHF #37, spudded on the 24th of December, 2014, has reached a Total Depth (TD) of ~6,550ft. Utilizing a full logging suite, log & formation sample results have established that both Miocene & Frio sands are pressured hydrocarbon bearing zones with a potential of 10 productive zones throughout the wellbore. A Formation Multi-Test (FMT) was run to collect downhole formation samples to confirm producing zones. Based upon the newly acquired sub-surface data, the Company will drill an offset well (GLHF #38) 25ft from the newly drilled GLHF #37 well. 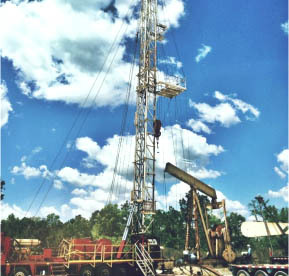 The well will target the upper Miocene zones that were encountered whilst drilling the GLHF #37 well. This will allow production of both Miocene and Frio zones from the same location thus reducing the need for multiple production facilities.